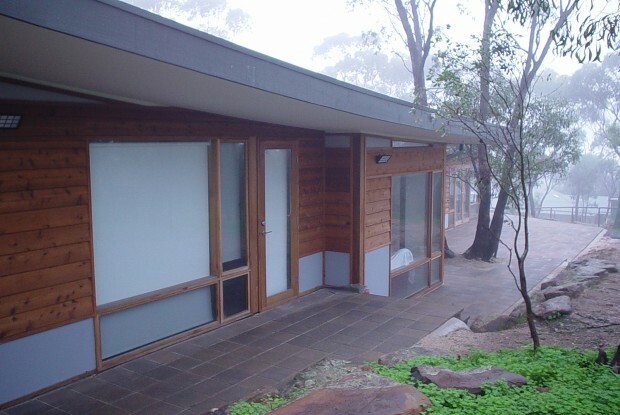 Belair House, Adelaide Hills – Passive solar design residence. 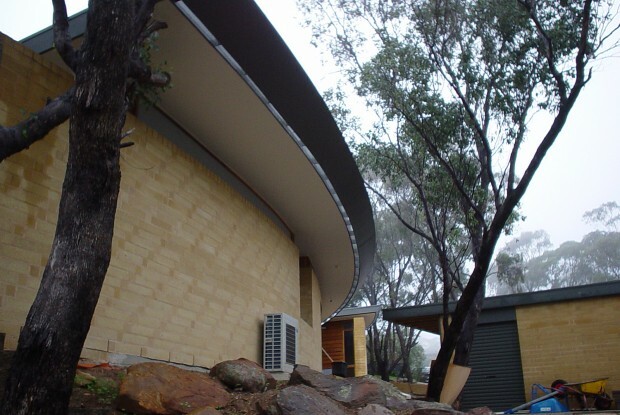 Three dimensional curves and subtly upward sloping roofs open light filled spaces to north sun and outdoor living areas. 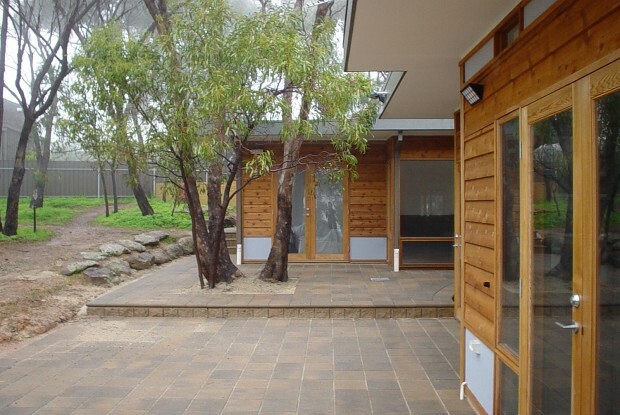 Japanese design influences imbue a sense of exotic delicacy in rhythm with the Adelaide Hills bushland setting. 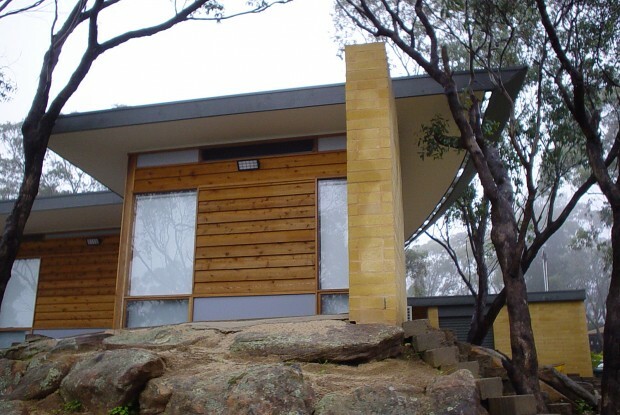 The buildings sandstone walls curve away from the street and opens to its rear Northern orientation over garden and bush views.